Our Warner Wildcats had an awesome time rotating into each classroom with the 10th day centers. Students got to make fruit loops necklaces, trail mix, glasses, hats, writing and presenting what they would do when they are 100 years old, and building the highest tower with 100 cups. 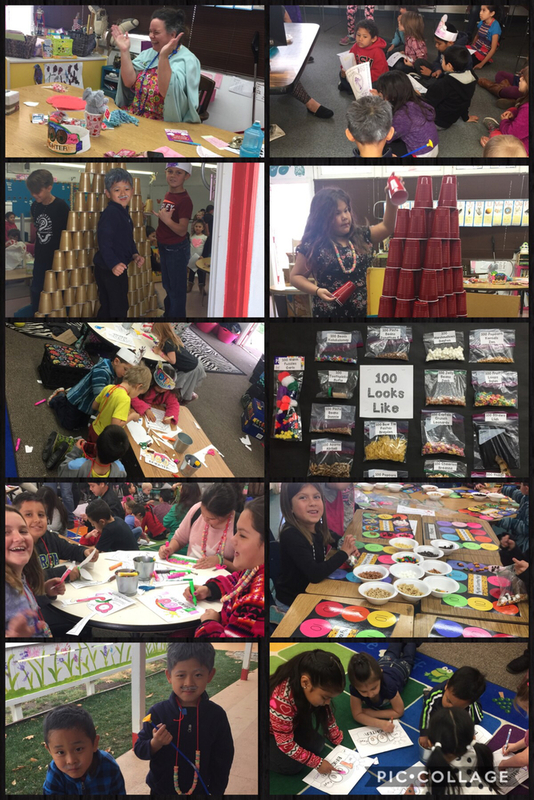 Everyone had a great time working together and enjoying being 100 days smarter!